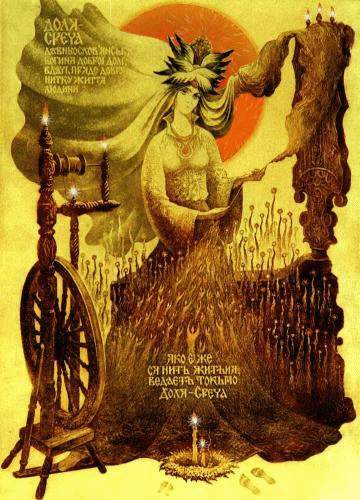 SRECHA is the Serbian Goddess of fate and spinning. She spins the thread of life, as an assistant to the great Goddess Makosh. 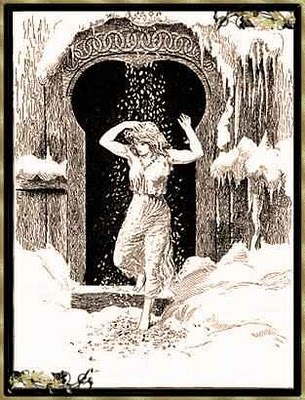 Her role is the same as the Slavic Goddess Dolya, bringing luck to those Makosh smiles upon, except that she was also responsible for protecting the flocks and fields of farmers. Her name is also seen as SRECA, SRETJA, and SRETYA. 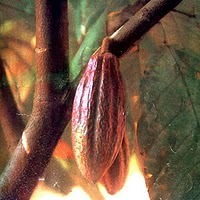 "IXCACAO" IS THE MAYAN GODDESS OF THE CACAO TREE AND THE CHOCOLATE THAT IS MADE FROM THE THE FRUIT OF THAT TREE. SHE HAD HUMBLE, BUT HONORABLE ORIGINS AS AN ANCIENT FERTILITY GODDESS. SHE WAS AN EARTH GODDESS IN A MATRIARCHAL SOCIETY WHERE WOMEN GATHERED THE CROPS AND SAW TO IT THAT EVERYONE WAS FED. BANISHING HUNGER AND PROVIDING FOR THE SAFETY AND SECURITY OF HER PEOPLE WAS HER DIVINE RESPONSIBILITY. "IXCANIL, GODDESS OF SEED, HEAR ME. "IXTOQ, GODDESS OF RAIN, HELP ME. "IXCACAU, GODDESS OF CHOCOLATE, SEE MY TEARS AND COME TO MY AID."